Pritesh and I arrived at Christchurch airport at 14.30 on Tuesday 25th August – the start of our honeymoon. It had been a long journey (we left for Gatwick airport at 16:00 UK time on Sunday 23rd August) but surprisingly we weren’t exhausted or in any discomfort. Emirates had exceeded our expectations with both the comfort of their A380 planes and the service provided by their staff. The seats were wide with ample legroom, the in-house entertainment worked without a bug and there was plenty of room to move around on the plane. The food was great too. The issue I had was that the main course for lunch or dinner came with two options: chicken or beef. I’m a vegetarian and I had not pre-ordered meals. When it came to meal times, and the staff on board realised that I had not pre-booked my vegetarian meals, they were quick to find a meal that I could have – whether that was a spare vegetarian meal or one of the cabin crew’s meals. Overall the cabin crew were extremely helpful and friendly. It is safe to say that this journey was the most comfortable one we have experienced so far, despite being the longest. As we drove through the northern and north eastern Christchurch neighbourhoods to our lodge, the roads and the greenery reminded me of the UK. We stayed at Arthur’s court motor lodge – it was clean, comfortable and it had good heating (we needed this as there were lows of 0 degrees Celcius on our first day). We freshened up and headed out for a 30-minute walk to Pomeroy’s Old Brewery Inn. It was only during this walk that we began to see the earthquake damage to buildings, drainage systems and roads. Prem, our fellow Yugener, had recommended that we go to Pomeroy’s. As we entered, the atmosphere had a warm buzz to it – live music, conversation and the sound of service at the bar. We had a great time here – after dinner we had a drink and played a game of pool (I won’t tell you who won, we are both very competitive). The next day we went to a recommended place (via Google) called Strawberry Fare to have brunch. We were welcomed by friendly faces and the food was delicious – I had the Eggs Florentine (two poached eggs with spinach and hollandaise sauce on a toasted English muffin) and Pritesh had the Big Breakfast (two poached eggs, sausages, seeded toast, bacon, mushrooms, tomatoes). The meals here are made from fresh, organic produce – and this is evident from the taste. 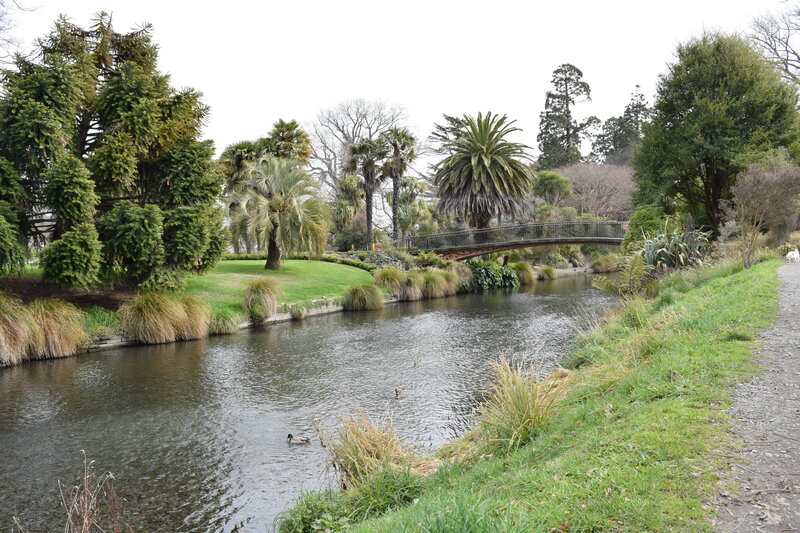 After this, we walked into North Hagley Park and along the river to Christchurch Botanic Gardens. The air was fresh, the landscape was green and the river water was clear. The Botanic Gardens is made up of several areas – we started with the conservatories, then moved into the rose garden, the New Zealand garden, the water garden and we ended at the peacock fountain. 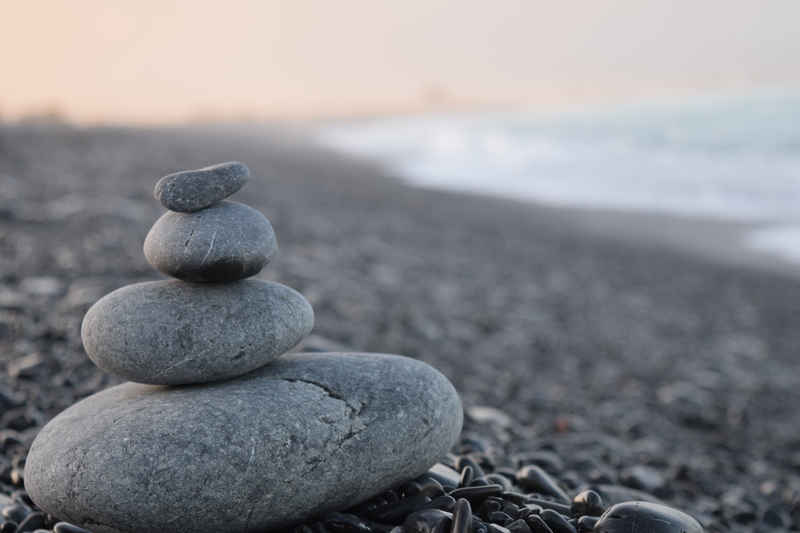 Each part has its own character but there is one word to describe them all: tranquil. Next, we checked out the Re-start mall. This is made up of shops and cafes within temporary shipping containers that were built after the 2011 earthquake. We then walked to Christchurch Transitional Cathedral. The original cathedral was also destroyed during the earthquake. The current one is made primarily of cardboard, supported by iron and steel. It was striking to see the many parts of Christchurch that are still unrecovered. After picking up our car, we headed north towards Hanmer Springs. Hanmer Springs is essentially a collection of thermal pools coupled with spa treatments. We chose to have a private thermal pool followed by a private steam room – so we had both to ourselves. This was a great start to our road trip. Sitting in the 38 degrees C thermal pool was so relaxing. We couldn’t stay in the steam room for more than five minutes at a time so we would come out, shower, then go back in again. After our private sessions, we decided to jump into some of the main pools outside – the rock pools and the Sulphur pools. As we were in the rock pools, the sun was shining on us. We stayed there for a while. We thought we would try the Sulphur pools as we had never seen them before – we went in, swam around a bit, and we started saying to each other “isn’t SO2 supposed to be poisonous?” “Yeah H2S is poisonous too”. Soon after, the couple on the other side of the pool left, and we also made our exit. Not to mention, there is a foul smell associated with Sulphur itself. Anyway, it was an experience. 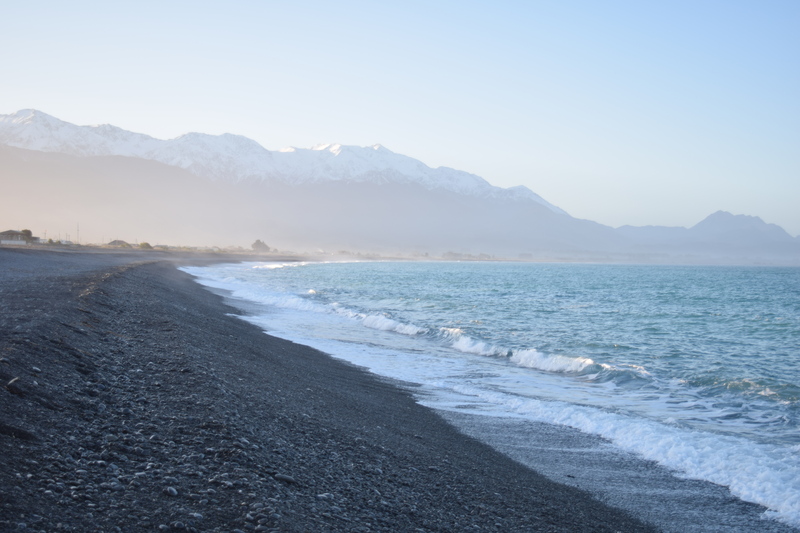 Next, we drove to Kaikoura, which is where we stopped to see Kaikoura beach. It was beginning to get dark as we headed up to Blenheim but we were lucky enough to see the enchanting combination of mountainous backdrop on the left and sea views on the right. The drive was incredible. Windy roads along the mountains meant that each turn brought something different. 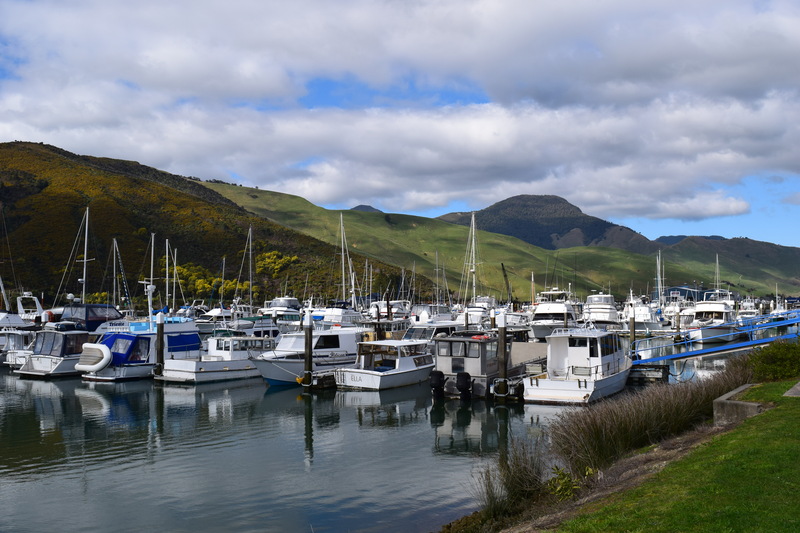 Marlborough Sounds and Skydive in Motueka! “Do you want to do a skydive today?” “Yeah, sure.” Prit booked us in with Abel Tasman Skydives for 2pm. We headed out of Blenheim in the morning – as we drove towards the sounds, we saw plenty of vineyards (dry during winter season, nevertheless beautiful). We drove through Renwick, a small town West of Blenheim, and up to Havelock. Stunning views of Marlborough Sounds. 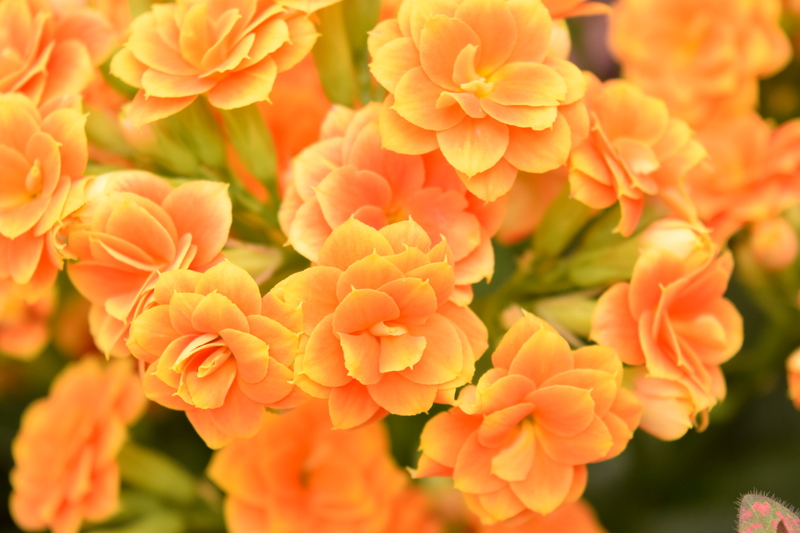 The weather was perfect – clear skies, still, sunny. Perfect weather for a skydive. We reached Motueka skydiving airport, were briefed and suited up in our gear and got acquainted with our tandem masters. We flew up to 13000m and after that – freefalling at 200 km/h. Not something that can be described in writing. Awesome. 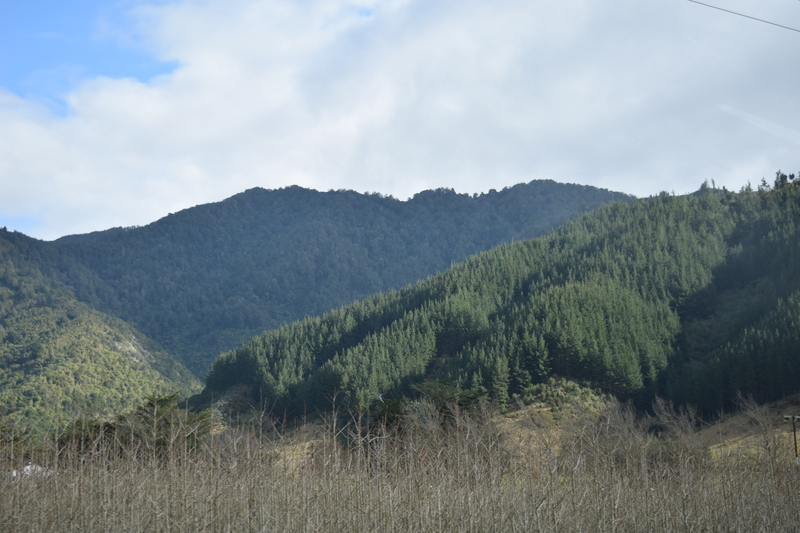 I saw the sea, Abel Tasman National Park, the hills overlooking Marlborough Sounds, as well as the fields underneath. When the parachute went up it felt unreal. Floating through the air. I was in awe. Our next stop was Marahau, on the footsteps of Abel Tasman National Park. So far, New Zealand was our best trip yet and we were very excited for the next part of our travels.